A kitchen remodeling project can be a great way to update the look and increase the functionality of one of the most important parts of your home. Whether you are completely renovating your kitchen or simply updating your kitchen countertops in Barbados, there are some important factors to keep in mind. Kitchen countertops play a demanding role in your kitchen: as the site of food-preparation, countertops are expected to be durable, — scratch-proof, stain-proof, and heat-proof — appealing and, in the best-case scenario, affordable. Choosing kitchen countertops can be one of the most difficult and overwhelming decisions during a kitchen remodeling project. Every kitchen is different and the countertop that works with your kitchen may not necessarily work for any others. In this blog, we are going to review a few things to keep in mind when choosing a kitchen countertop that is right for your space. The kind of lifestyle you live is going to have a significant impact on the type of countertop you select. Take a moment to reflect what your life is like and think about how it will look in the near future. For instance, if cooking is one of your passions and you spend a lot of time in the kitchen, you’ll want to look for a kitchen countertop that will not stain and hold up against wear and tear. If you are someone who doesn’t spend much time in the kitchen, it may be beneficial to look for countertop materials that require very little maintenance. There are a variety of countertop materials available, so be sure to explore what each type can offer before deciding on a new one. There are a variety of countertop styles available. Again, depending on your lifestyle and preferences, one countertop material may be a better fit in your kitchen than another. Let’s quickly review some of the most common countertop materials. Granite countertops are one of the top contenders when it comes to kitchen remodeling. Since taking off in the 1980s, this stone countertop has become an industry standard in both low and high-end real estate. Quartz countertops have quickly become one of the most trending styles of countertop surfaces throughout homes. Quartz is a beautiful, man-made stone that is made up of over 90 percent of natural quartz crystals, paired with stain-resistant polymers. The material has started rivaling granite for a top pick among newly renovated kitchens. The subtle sheen of marble countertops can add a timeless elegance to any home. Luminous, luxurious marble brings a crisp brightness that soapstone, granite or man-made countertop materials simply can’t duplicate. The countertops in your kitchen are going to be a dominant feature of the area, so they should match or complement your kitchen’s décor. A white or black granite countertop will almost always match any color or decorative theme featured in your kitchen. Many countertop materials come in various colors to match the style of your kitchen. For a more uniform look, you may prefer quartz due to its engineered quality. For a more elegant and luxurious look, marble may be the best choice. Kitchens are practical spaces, which means you will need to have enough space to prepare and cook meals in comfort. Ideally, you will want to have more than just a small area near the stovetop for cutting vegetables and preparing meats — it means being able to move around the countertops comfortably and have extra room for kitchen appliances, such as coffee pots, toasters, and blenders when you need them. Remember, the type of lifestyle you live will have a significant impact on the this. If you are someone who spends a lot of time cooking, the more countertop space the better. If you keep meals simple and convenient, it may be best to use the extra space for other features. Choosing countertops for your kitchen can be a challenge. 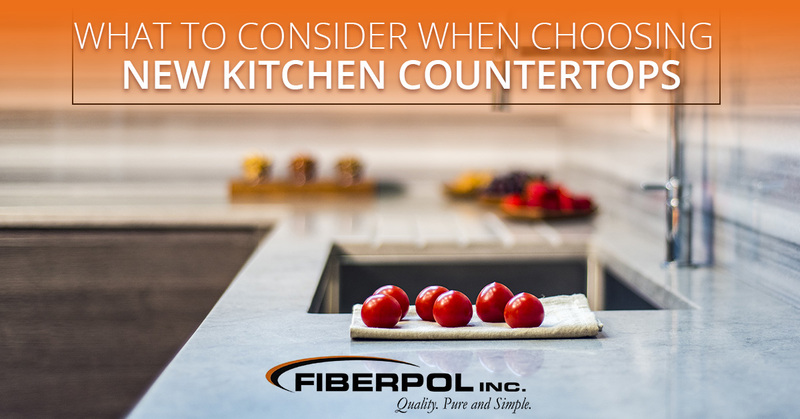 If you are planning a kitchen remodeling project, let the countertop professionals at Fiberpol help you choose the best material for your space. 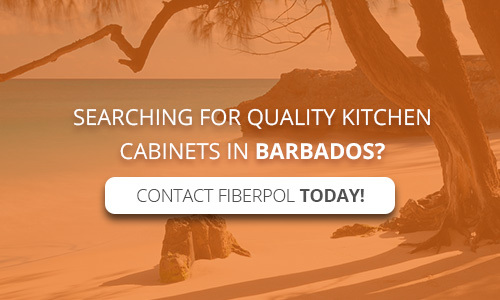 Fiber pool is the number one choice for remodeling services in Barbados. We have a wide variety of countertop materials to choose from, including the ones discussed above, plus our own, one-of-a-kind solid surface countertop, DECORAN. We also offer kitchen countertop installation and financing options. If you are interested in learning more about our available countertop materials or would like to receive a free consultation, contact us today!